Jaime Tardy has this uncanny ability to get along with everyone. This is an especially helpful skill when you run a podcast about interviewing millionaires – you end up with some very successful friends! 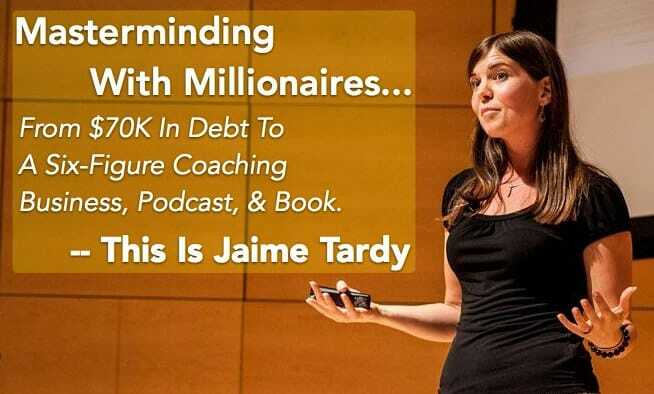 Jaime has just released her new book, The Eventual Millionaire, the same title as her blog and podcast. To help celebrate the release of her new book Jaime joined me on the EJ Podcast so we can learn about the book, her podcast and blog, and also how she currently makes a living. Jaime, and her contortionist performer husband (! ), found themselves in some pretty big debt due to buying a car, student loans and the usual expenses you accrue in your early twenties. When they decided to have a child they realised that getting on top of their money issues was critical. They wouldn’t have two job incomes to carry their debt when Jaime stopped working because of the baby. 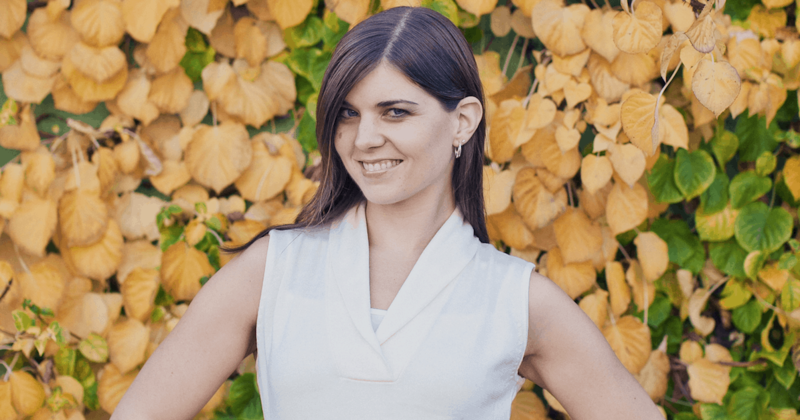 In this interview, you will hear how Jaime cleared her debt, how she started a new coaching business after her baby was born, which led to the creation of her Eventual Millionaire blog and podcast. During the interview make sure you listen towards the second half where Jaime talks about how she formed a powerful mastermind group. She managed to convince some fairly well-known people like Pat Flynn to become part of her group, even though her own reputation wasn’t quite as established by then. Her advice on how to create powerful masterminds with super-successful people is priceless. 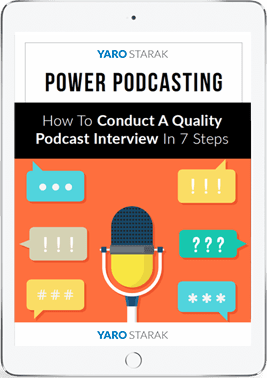 There’s some great advice in here about podcasting, masterminds and running a coaching practice, so don’t skip this one. You can build your own belief by helping others build theirs. Enjoy the interview with Jaime and please if you enjoy this interview and want me to keep doing them, help out by reviewing this podcast on iTunes. About to start my own podcast after practicing interviewing designers around the world… great advice and lots of valuable information. Thanks! Glad you liked it Jon — and good luck with your new podcast! Awesome podcast mate! Hope you’ve been well. Thanks man, Jaime makes it easy. You sure have been traveling all over the place judging by your FB updates! Definitely have been! Left Oz in September, not due back until August. I guess that’s what you’d call a good trip! I don’t use itunes so can’t do a review there, but I really enjoyed this one! Jaime is down to earth and I can identify with where she started. I’ve been interested on and off in business coaching, but just assumed it would take years of experience with my own business before I had a chance. But Jaime’s story is different. I’d be interested in learning more about how people in business coaching/consulting started out. Thanks, Yaro! You’re welcome Josh. 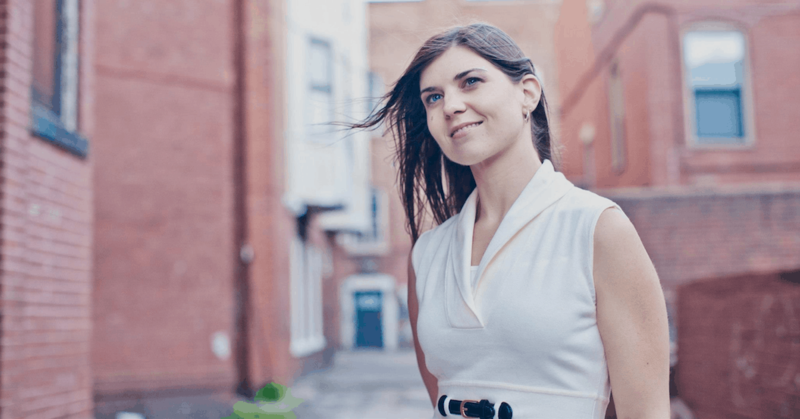 Based on Jaime’s story it sounds like one of the best ways to become a business coach is apprentice under an established one and use that as a stepping stone towards your own. And how can you not have itunes! Haha. My preferred music platform is Spotify, and I’ve never been a fan of Apple products anyway (although I do admire Jobs quite a bit). Oh I’m not a fan of itunes either, but if you use an iphone it’s hard not to interact with itunes now and then. Pretty sure I know her mentor, and the mentor of the mentor… Small world in the direct response marketing sphere. Very inspiring podcast!I hope to be able to do the same in the french market.Your audio books are great Yaro,thanks for all the value.